I was telling a friend earlier today about the Target 20% off sale on Jurassic World and he said that most of the Jurassic World sets were actually cheaper at Amazon. I decided to check it out and sure enough he was right. Even with the current 20% off sale almost all of the sets are cheaper at Amazon. It’s possible that they have adjusted their prices in response to the Big W 25% off this week, but it could also hopefully be a sign that Amazon wants to be aggressive on LEGO pricing. You can check out the Jurassic World range for yourself here. Looking through the rest of their listings and there are certainly a few things that jump out as being discounted. Nothing crazy but certainly competitive (see a list of examples below). 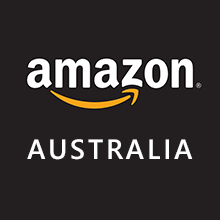 Perhaps Amazon Australia is becoming a site worth checking when doing your LEGO shopping? Wow! The BB-8 is a whopping 40% off RRP?!? !